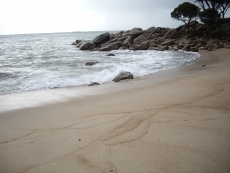 The majority of the population live along the beautiful white sandy beaches of the West Australian coast. 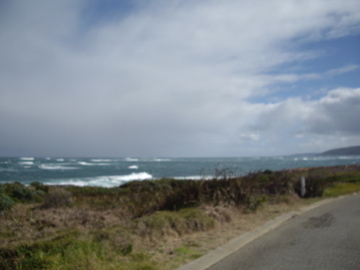 Driving south along the coast we viewed some of the most spectacular scenery I have ever seen. Interesting changing coastline with secluded bays and sandy beaches were a regular treat. Rock formations and scenery that most people are unaware of were features of this area. Surfers from all over the world would be envious of the waves and the regular local surfers have names for them all. A must to see! And a must to walk! Two kilometres to the end - and if like us you attempt it on a day of gale force winds of 42knots (over 80kph) you'll remember every step. 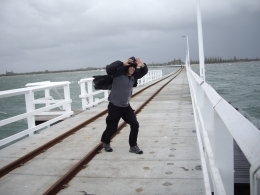 There is a train that runs along to the end however this stops when winds get to 25knots and after that you’re on your own. There is also an underwater observatory at the end that you can go under the water and view the marine life from the windows....definitely a must. 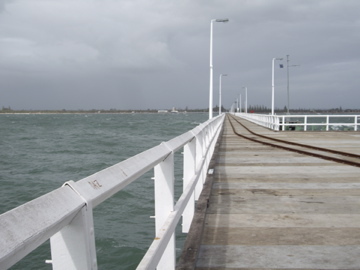 There is lots of history that surrounds the Busselton Jetty and the souvenir shop at the start of the jetty has the whole story. The original jetty had a fire and was rebuilt therefore there is quite a long section of the jetty that still has no rail on one side so not recommended for children on a windy day. Fishing is also popular along the jetty. It would be beautiful on a nice day. When staying in Margaret River it is really important to chose somewhere that is central to everything. 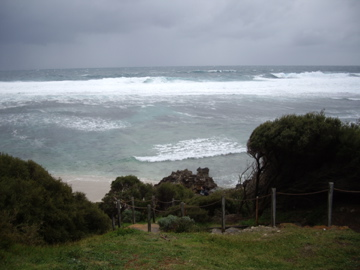 Staying in the quaint little town of Margaret River is ideal. Here you will be able to walk through the streets and sample some of the local experiences, not to metion the fudge factory and the many other eating establishments in the town. We chose to stay at Prideaus of Margaret River. The Prideaus is situated right in the centre of town and ideal to have easy access to everything that Margaret River has to offer. The accommodation was fantastic with a kitchen, microwave but best of all a large double spa in the room. This was amazing after the long days exploring caves and climbing the lighthouse. The room was very spacious, clean and comfortable and the managers Sandy and David were the perfect hosts. Nothing was too much trouble and they even went out of their way to give us advice on all of the local attractions. 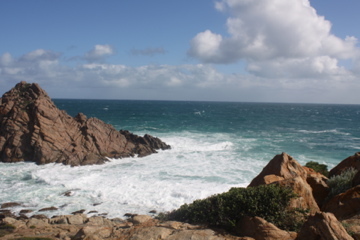 Marking the most south west point of Australia where the Indian Ocean meets the Southern Ocean the Cape Leeuwin Lilghthouse has stood since 1896. The light from the lighthouse has the power of 1million candles and a range of 25 nautical Miles. The Lighthouse is also build from local stone and is Heritage listed. 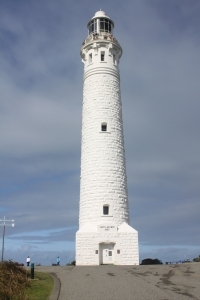 The lighthouse is 56 metres high and is Mainland Australia's tallest lighthouse. I would strongly recommend that you take the tour to the top of the lighthouse because not only will you learn so much about the history of the area and the lighthouse but you will have an amazing view from the viewing platform. It is 176 steps to the platform but well worth the effort once you get there. 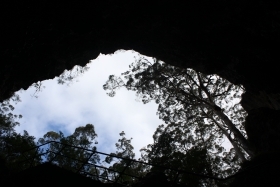 The Caves of the Margaret River Region. 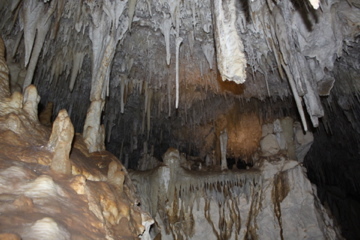 One of the biggest attractions in the area is the caves. There are many caves that you can visit if you are staying for a week or so but if you are only in the area for a few days here are the ones I would thoroughly recommend. When we spoke to locals regarding the caves and asked which was the best one to see everyone said the same thing "They are all so different" and this is exactly right. You NEED to see them all. Make sure you wear comfortable shoes as you will be climbing a lot of steps and possibly don't do them all on the same day unless you are incredibly fit. Both Jewel and Lake caves are guided tours however Mammoth is a self tour with a headset and audio information. The whales are back in the bay! These gentle giants migrate from the cold waters of the Antarctic to breed and frolick in the warmer waters of Flinders Bay in Augusta, and whale watching tours offer an unforgettable experience for visitors and locals alike. Whale Song Festival marks the start of the season, and is a great way to explore the picturesque seaside town of Augusta. It’s a fabulous time of year to get outdoors and enjoy those warm days – the vine leaves are changing colour, the paddocks are lush and green, and the surf is up (as always!). Enjoy a lazy winery lunch, try new culinary indulgences, check out live comedy and music or just take a long walk on the beach then snuggle up by the log fire. 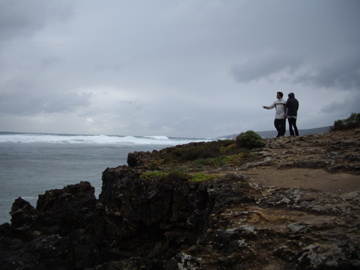 These are just a few of the many activities Margaret River has to offer over the chilly winter months. Bring your winter woolies - we look forward to seeing you down here!